Our homes get more and more smart devices connected to the Internet. Some of us have different air purifier devices because the air quality especially in big cities leaves much to be desired. There are many options for purifier devices and Dyson is probably the most expensive one, I won't discuss if it's worth it or not it is up to you and you can find many reviews in Internet, the reason for this article is very simple. I did a custom Weather Station project and got Dyson Pure Hot+Cool Link later. I decided to introduce them to each other (both are connected to same network), make them communicate and use them with higher efficiency. So, I searched for the information related to Dyson API, and... I found it! Definitely you do need at least Dyson Pure Link device to start, or it can be complicated to test your project. You do not need weather station explicitly, this is my assumption to make project more interesting and more valuable to integrate and connect multiple devices in one hub (like smart home solution). I used link to my weather station project as advertising, so please do not blame me. You can use any weather station or other devices, projects etc. Whatever you like! I used Visual Studio 2017 (my hard .NET past) for the project but you can use any IDE or even simple text editors for the coding part, depends on your preferences. Sensors data can be read when fan is active, otherwise values are None. It is OK when you use your purifier in ON or AUTO mode, but what about standby mode? And here is an answer, Dyson Link purifiers have specific setting for this Continuous monitoring. It is designed for monitoring in standby mode. Images below show step-by-step solution. 1 / 4 • Click "Settings"
* I noticed an interesting behavior if AUTO mode meets the goal, there is about 5 minutes delay when sensors are not active (do not have data), looks like when fan is active continuous monitoring is ignored (turned off) and after fan is off it takes some time to reactivate it (just my assumptions). We need several settings arguments to connect to our device (they all are in configuration file). Almost all of them you can find on the sticker (placed on new Dyson device) or in a afor your device. Please find an image of "parsed" sticker below. That said, serial and device type are part of Product SSID section and password is under Product Wi-Fi Password section. Serial can also be found under Settings section in mobile application (please see below). We are going to use MQTT protocol to connect to our Dyson device. 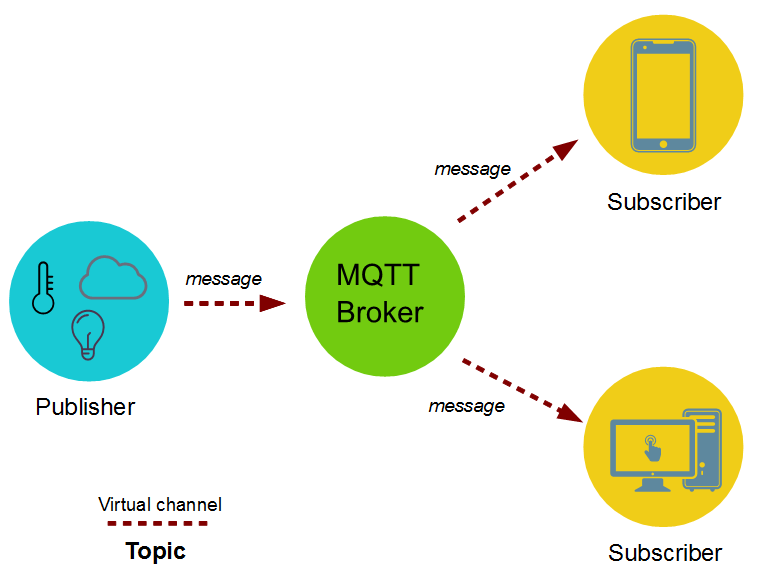 MQTT stands for Message Queue Telemetry Transport . It is a publish/subscribe, extremely simple and lightweight messaging protocol, designed for constrained devices and low-bandwidth, high-latency or unreliable networks. The protocol is ideal for the emerging “machine-to-machine” (M2M) or “Internet of Things” world of connected devices, and for mobile applications where bandwidth and battery power are at a premium. You can read more here. Paho-mqtt required to connect and communicate with Dyson device via MQTT protocol. PyYAML required to parse configuration file which uses yaml format. You may need to use sudo with installation commands due to lack of permissions. I attached several sources where you can find complete code implementation. The first one is related to Weather Station plugins (which I believe is the best one because you can use your Dyson Link device sensors readings in real project and make them valuable). The second one is a separate GitHub repository I built for this example it can read and set some settings (fan mode and standby monitoring) so you can play with it and/or use it in your other projects. Now let's take a look on the most important code sections (took from weather station example). We wait for values in our queues with timeout argument, we do not want to wait for too long. We need to setup several callback functions for our mqtt client. They all are about the same: handle message from the device and put entity in waiting queues to notify our plugin data is ready. It is very simple (as we use it with weather station as plugin we use get_data method as single entry point to it, so it connects and disconnects device). We check if device connected and has valid data (not None values) returns dictionary as a result if any and disconnects device. You can do more things with your Dyson Link devices (including new vacuum robot Dyson 360 Eye). In my examples there are commands to set fan mode (so you can control Auto mode from your other applications) and standby mode (you can be always sure your device continuously monitors environment). If you do not need it within a connection to a weather station you can be creative and integrate your Dyson Link devices with your smart home solutions. Or any other interesting and cool projects you are working on! Thanks to Charles Blonde and Shad.